At some point in your life, you’ve probably experienced a “lightbulb” moment. That split second where some connection is made deep in your brain and everything suddenly makes sense. Mine happened in 2014 at a coffee shop in North Carolina. Troy was sitting across the table from me. He had worked his way into Uber’s operations team shortly after college and, from my perspective, was killing it in the professional world. I knew that Uber had an opening in marketing and I was determined to figure out how I could replicate his results. Just because everyone else was doing something, didn’t make it right. In fact, it made it worse. It was causing competition to skyrocket in an already-faulty approach where you had two pieces of paper (your resume & cover letter) and some applications questions to set yourself apart from the pack. If I could connect directly with people at my target company and offer them value, I would be able to bypass the online application process and prove that I could do the job before I even stepped foot in the door. I spend a lot of time talking about why applying online won’t land you your dream job in today’s market. The landscape has changed and traditional strategies simply don’t work anymore. 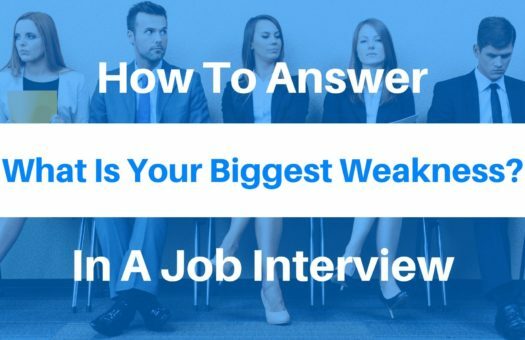 Online applicants have less than a 2% chance of landing an interview (which still sounds crazy when I type it, but the numbers don’t lie). If you want to succeed, you need a new approach. The strategy I teach is rooted in a single concept – find people at your dream company who can influence the hiring process and provide them with tons of value. My angle of choice is to tease out information around the challenges they’re facing or the initiatives they’re kicking off and provide solutions/ideas (here’s a detailed breakdown of that process, if you’re interested). 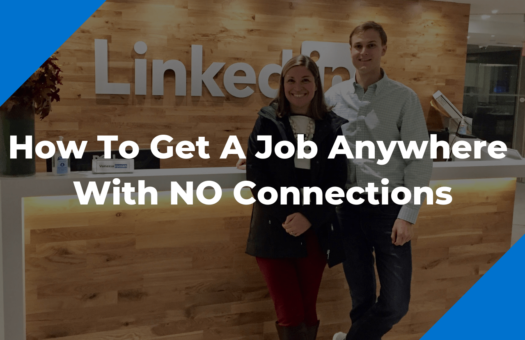 After working with several thousand job seekers, I’ve found that identifying contacts is easy. Providing value is where people tend to get stuck. Everyone’s situation is unique and it can be hard to provide a cookie cutter solution that works across industries, experience levels, and roles. My contact is a high profile veteran, what kind of value could I possibly offer them? I spoke to my contact, but when I asked about their biggest challenge/upcoming initiative, they were incredibly vague. I’m not an employee, I don’t have the “inside scoop.” What information could I possibly offer them that they don’t already know? The company is already paying people tons of money to solve these problems, if they can’t do it, how am I supposed to? 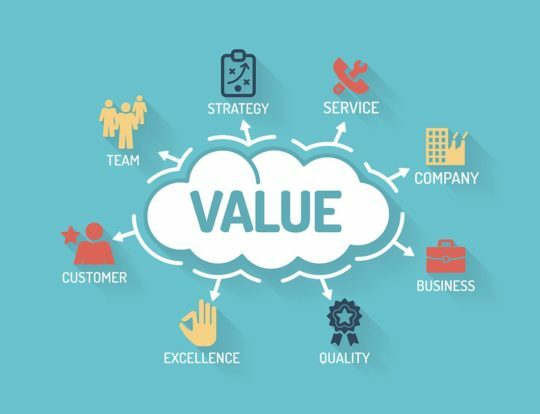 In this post, I’m going to show you how to effectively add value to anyone using what I call a Value Validation Project. Then I’m going to give you some examples that other people have put together to successfully land jobs at some of the world’s most sought after companies without using traditional channels. What Is A Value Validation Project? A value validation project is some sort of deliverable that benefits an influential contact at the company you want to work for. There are dozens of different ways you can do this, we’ll talk more about those in a bit. There are two reasons this technique is so effective. First, as I mentioned above, 75%+ of candidates rely on traditional methods to illustrate their worth during the job search process. By stepping outside of the box and creating something unique and valuable, you automatically separate yourself from the pack in the eyes of your potential employer. Second, a high quality validation project proves that you can beat the expectations for the role and you’re someone who brings good ideas to the table. You’re essentially validating your value (hence the name) to your contact before they take a chance on you. This makes them far more likely to vouch for you during the process and increases your chances of landing a referral. I’ve found that this is especially effective for candidates coming from non-traditional backgrounds. The main reason those people struggle during the job search is because companies aren’t willing to take a risk on someone without experience. By crafting a validation project, you’re showing the employer that you know your stuff and you’re going to excel in the role. Suddenly, the “traditional” qualifications don’t matter as much. In fact, I’ve actually found that it helps non-traditional candidates boost their credibility because, in order to provide a high quality deliverable, you actually have to know your stuff. If that experience didn’t come from a traditional job, it means that you invested your own time, money, and resources into learning the space. Companies LOVE that. As I mentioned earlier, it’s hard to create a one-size-fits-all mold for the “perfect” validation project. Everyone’s personal career situation is different because there are so many factors to account for – the industry, your experience, what your contact wants, the role you’re targeting, etc. Scenarios two and three effectively leave us in the same situation – needing to find a way to provide value without much direction – so we’ll lump those two together for the sake of this article. Now I’m going to show you how you can create a high quality project that adds massive value for the scenarios above. I’m also going to include some real world examples so you can see exactly how people have done this in the wild. When you’ve set up informational phone calls with your contacts, the goal of that conversation is to tease out as much information as possible about their biggest challenges, upcoming initiatives, or their personal goals. The most common mistake here is not going deep enough. If you’re able to get your contact to bite on one of those items, continue asking followup questions until you get the info you need. If your contact wonders why you’re asking so many questions, tell them that you’re simply interested in learning about the types of challenges and initiatives someone in their position/industry faces. This is the most direct path to success when it comes to adding value because your contact effectively hands you a road map. You just need to follow the directions. The first step of any value validation project is always the same: research, research, research. This Q&A site has a surprising amount of savvy individuals who are willing to share their opinion on anything business-related. All you need to do is come through the answers to get some inspiration. If you want to go even deeper, check out the comments on popular answers to see if people are able to poke holes in the author’s idea. If the comments are positive, you’ve got a solid answer on your hands. 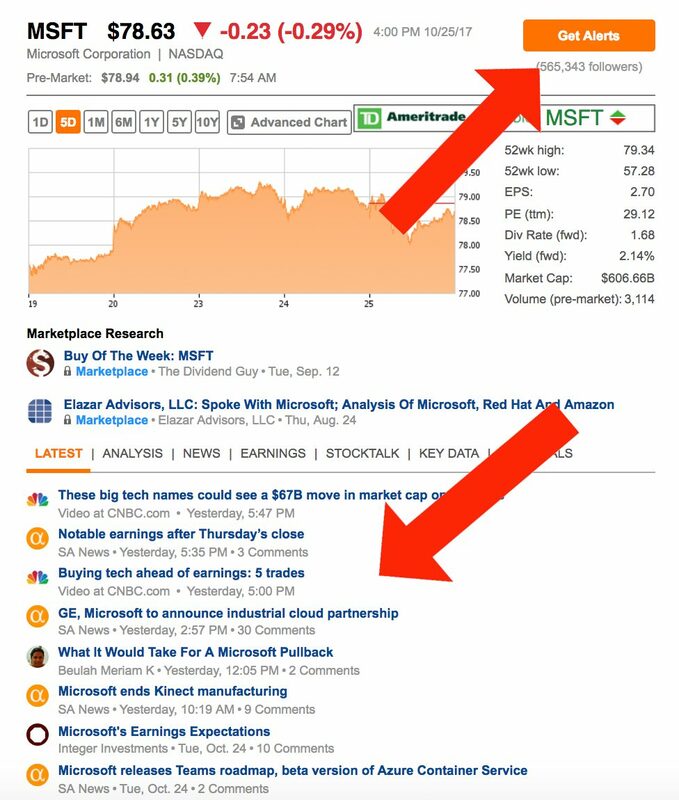 SeekingAlpha is a platform that crowd sources financial advice and opinions on the world’s publicly traded companies. The people who write articles for the site make a living following the company you’re aiming to get hired at. Then they fire up Seeking Alpha and write piece after piece on why they think Company X will soar while Company Y is going to fail. These articles are a goldmine of potential challenges for you to solve. The best part is, if you sign up for a free account, you can hit the “Get Alerts” button (in the upper right hand corner) and a digest of these articles will be sent directly to your inbox every morning. Let the experts do the research, all you need to do is read. Another great resource for learning about public companies is their earnings call. Several times throughout the year, publicly traded companies will have calls to discuss the results of the previous financial period and talk about the future. If the company is doing well, they’re going to talk about upcoming initiatives to capitalize on that growth. If the company is struggling, they’re going to address those challenges and discuss potential solutions. Either way, you’re going to get a few ideas. Here’s a link to Nike’s Investor Relations page. 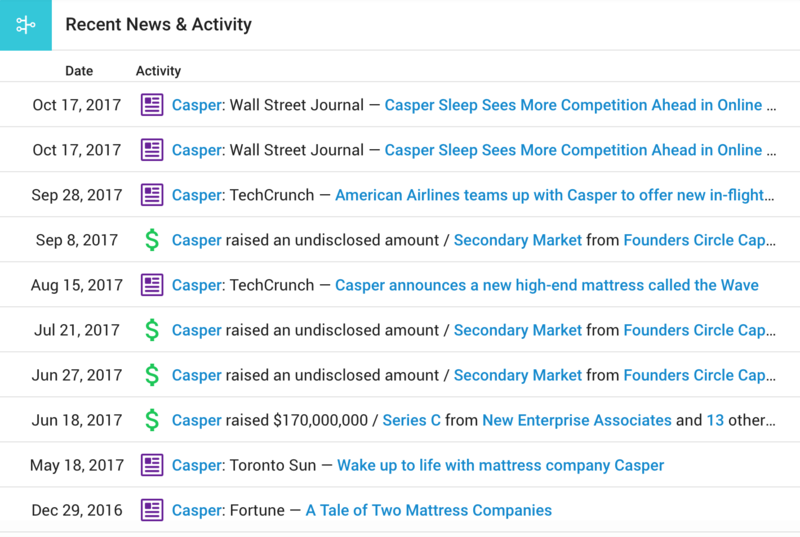 If you click around, you’ll notice a section on Quarterly Earnings where the company has free, downloadable documentation on their recent earnings and the transcript of their most recent earnings call. If you’re applying for a private company, it’s going to be a little bit harder to dig up dirt because their financials and initiatives aren’t aired out for the world to see. Still, there’s plenty we can work with. Next, I try to find interviews with employees (preferably executives) from the company. YouTube is a great place to check or you can simply Google “[Company Name] Interview” and see what pops up. If there is a big initiatives or a looming doubt, interviewers are going to jump all over that. After researching and deciding on the angle you want to take, you need to consolidate your information and solutions into some sort of deliverable. 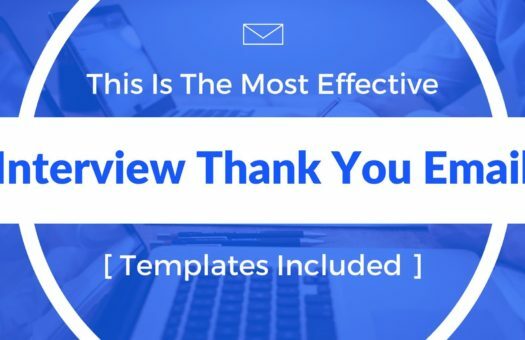 Almost everyone has experience making decks and PowerPoint has this awesome new feature that will professionally design your deck in a single click. For a great example of this, check out the deck that Cam put together in the next section (or click this link to check it out). This is the situation where people struggle the most. How can we add meaningful value when we have no idea what our contacts might be interested in? It’s helpful to remember that we don’t necessarily need to solve the company’s biggest problems in order to make a splash. We simply need to show that we are able to thoroughly analyze the situation, bring good ideas to the table, and are willing to roll up our sleeves. Again, thorough research is critical here. The more you know about the company, the easier it will be to find an angle you can attack and the better your presentation will be. The tools and resources I mentioned above are a great place to start even if you’re not sure how you’re going to add value yet. Every company has a customer and, in most cases, those customers are easily accessible. If there’s one person out there who won’t be afraid to tell you what they think about a product, it’s the customer. Use that to your advantage. The main reason most employers aren’t keen on hiring anyone that isn’t a perfect on-paper fit is because there’s a lot of risk involved. Employees are usually a company’s largest expense so it’s incredibly important that they hire the right ones. On top of that, the job search & interview process isn’t exactly designed to let candidates prove their full value ahead of time. 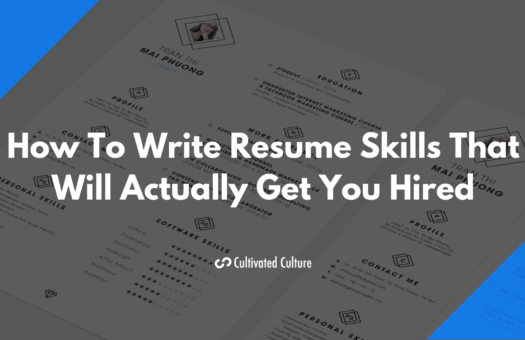 It’s tough to do that when you’re given a resume, cover letter, and five application questions to prove your worth. But what would happen if you went out, did the job before you had it, and brought your results to the employer? It’d be pretty hard to turn down someone who actually went out and beat the expectations of a full time employee. Raghav Haran wanted a business development job at a company called Kiip. 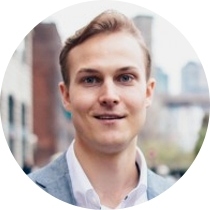 Instead of simply applying online, he reached out to Kiip’s potential customers, positioned himself as a supporter of the company, and sourced several highly qualified leads. It’s not surprising that he was offered a job on the spot. This video did two things. First, it was super creative and well designed. Second, DKIRK worked some magic and got it in front of thousands on thousands of people. If you were going to hire someone for a position in marketing or design, why would you hire anyone else? Those results are perfect! THAT is how you stand out. When most of us are tweaking our resumes, we’re sitting in Microsoft Word editing some black and white text, moving our education, adjusting bullets, etc. Francine Tamakloe dreamed about working at Spotify. 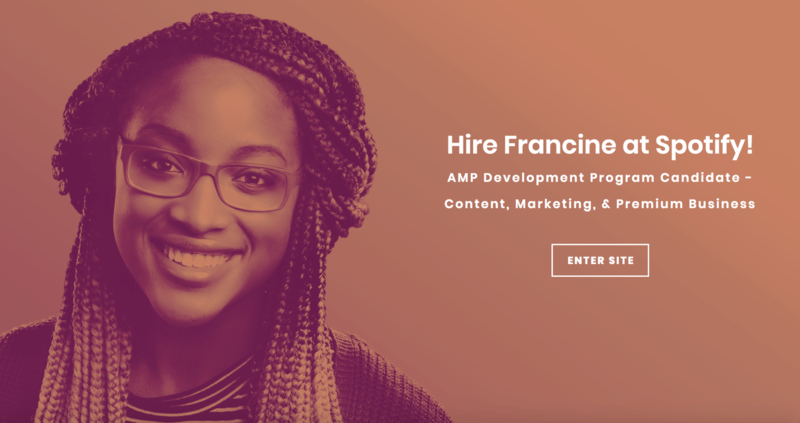 Instead of submitting her resume in growing pile of online applications, she created a site: Francine For Spotify. She aligned her brand with Spotify’s aesthetic and culture. She even embedded a few songs from Spotify to show off her personality. If Spotify is trying to decide who is more enthusiastic about their brand, Francine just made it a no brainer. You might be thinking, this is all well and good, but I don’t have any idea how to code, let alone build an interactive resume or even a fancy website. The examples above are meant to give you an idea of what works in the real world. I’d challenge you think about your unique skills and how they can be used to differentiate yourself from the crowd. All of those actions add value and don’t require any special skills. 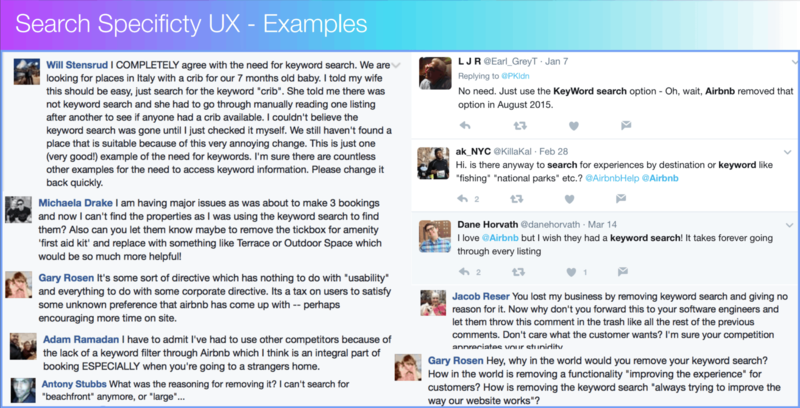 If you do want to create something as robust as the examples above, go hire someone who knows what they’re doing. 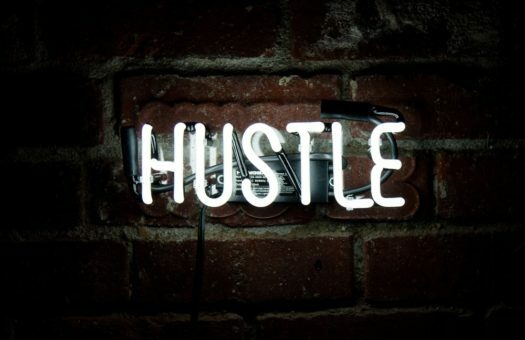 Spending $500 on a website that gets you hired for your dream job and lands you a $10,000 pay raise is an incredible investment. Again, you don’t need to change the world with your deliverable. You just need to show that you bring good ideas to the table, you’re willing to roll up our sleeves, and you’re not like everyone else who is applying for this job. You are way more awesome. Thanks, Austin. This article is like being handed gold! “Surveying their Customers” gave me my “lightbulb” moment. Wasn’t expecting to start my Value Validation Project before I finished reading your post. The examples were on point, too. Props Austin! I didn’t know that a value validation project was something that benefits an influential contact at the company I work for. That sounds like it could be really great to do. It would be nice to do something to prove that I can beat the expectations for my role. Another thing you can do, is use the job description to build the project. If you can understand their business and then tie the job description to the business, you can figure out exactly what you’ll be doing in that role. Then you can just start doing the job by building out a high-quality deliverable.